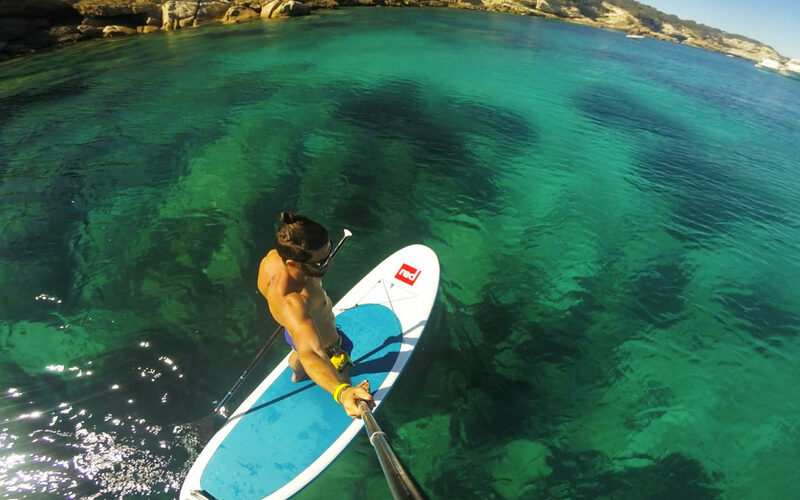 It’s a unique opportunity to visit and explore Sardinia’s beaches on a SUP. We’ll paddle along the coast and visit gorgeous beaches, sea caves, only to see one dramatic view after the other open up in front of us. 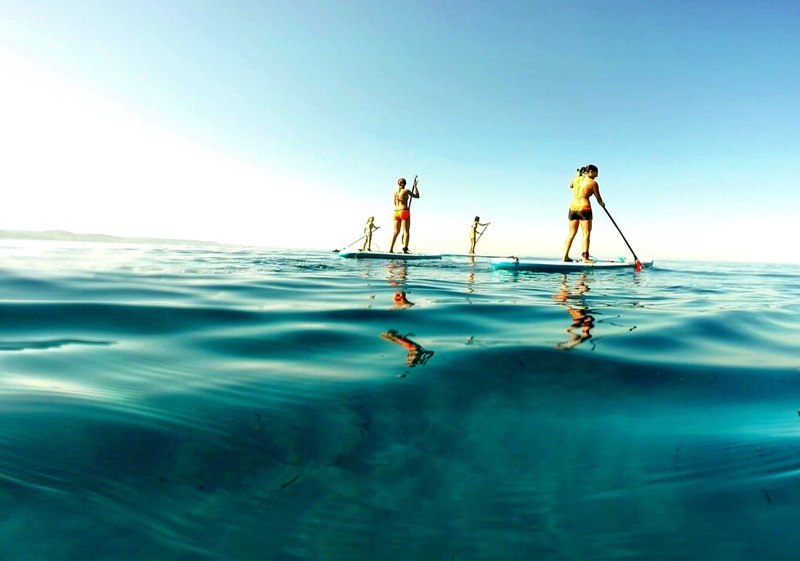 This is the essence of stand-up paddle boarding and the greatest experience it can offer. Is designed to give beginners and experienced paddlers a unique natural experience. Our waterways are home to a diverse ecosystem. 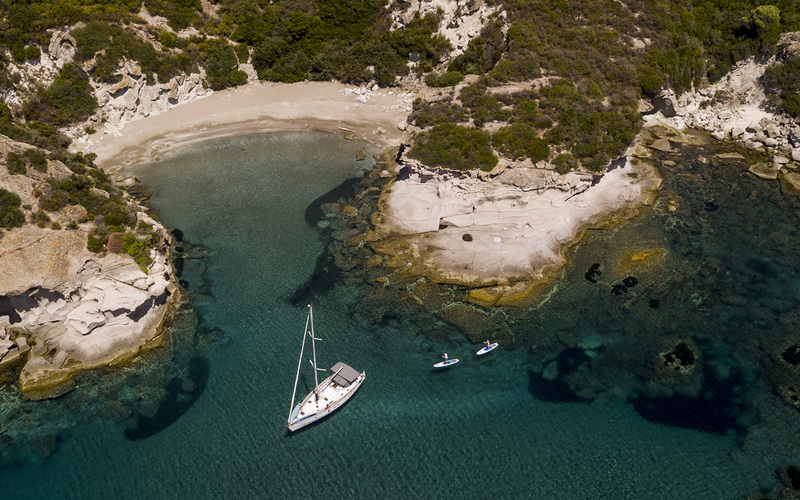 We bring you closer to the marine environment by raising your awareness of the animal and vegetal species and by encouraging responsible treatment of the flora and fauna. It is really easy to start! 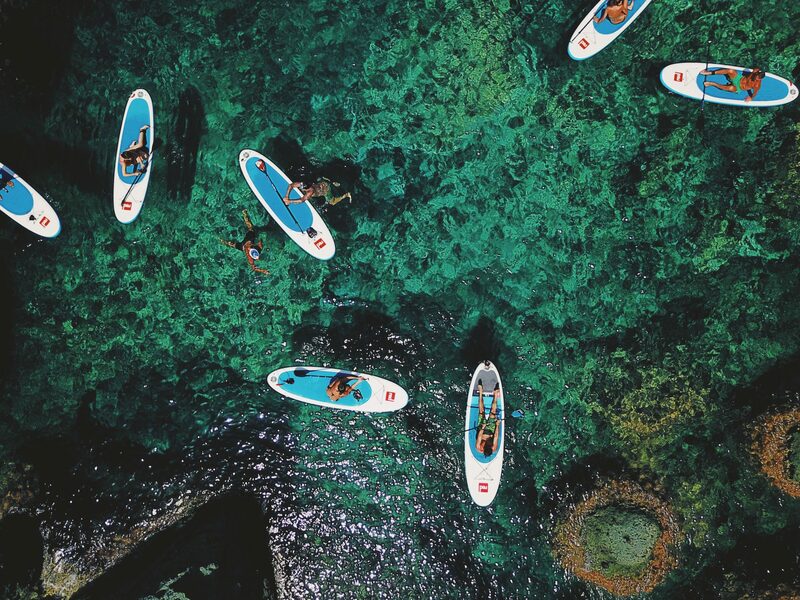 If you never tried to paddle, we suggest you take a 1h lesson before booking a tour so that you’ll be able to control the board in the best way. 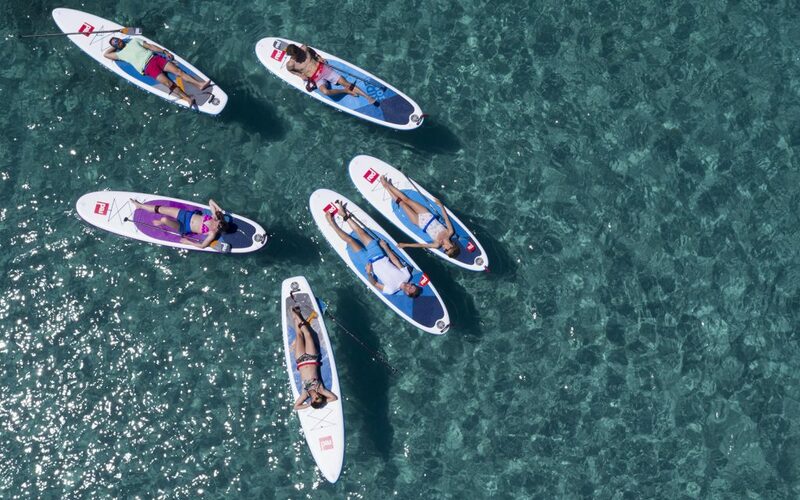 All the SUP Tours are intended for 4 to a maximum of 7 participants. On the one hand, we wish to ensure the safety of participants. And on the other, we find it very important that bonds between participants are formed in a relaxed atmosphere, which can only be achieved in a small group. Minimum 4 and maximum 7.